Whether it’s your first time or your tenth to the business hub, these tips can help you make the most of your trip. From March 8th through the 17th, the SXSW festival which initially began in 1987 will radically transform downtown Austin, Texas into the epicenter for all thing’s technology, music, and movies. If you’ve never been to SXSW before, it’s like spring break for adults. However, it's also an opportunity where legitimate business is transacted and access to VIP, invite-only experiences is a valuable commodity. Personally, SXSW 2019 is my fourth time attending the interactive or tech-focused part of the extravaganza. My first time visiting (2016) is where an initial off-chance meeting in a hotel lobby bar led to a fruitful business relationship which allowed me to quit my corporate job years later which is why I regularly advocate colleagues if there is one conference out of the entire year that you should attend it’s without a doubt SXSW. According to Chief Programming Officer Hugh Forrest, who is entering his 30th year with the festival, the mission of SXSW is to help creative people achieve their goals and celebrate creativity. Forrest advocates for having a game plan upon arrival whether it’s your first time or your tenth time attending SXSW. More specifically, Forrest says you should “spend time figuring out who you want to meet and what you want to do,” because “if you don’t have a game plan it’s easy to get overwhelmed … but, deviate from that game plan if something better happens." It’s not uncommon to meet someone at SXSW and immediately ask, or be asked, for a business card. If you’re like me, chances are you don’t carry business cards with you, which is why LinkedIn’s ‘Find nearby’ feature can up the ante on real-time matchmaking for following up after the conference. Using this feature makes you appear tech savvy, and it’s a clever growth hack to increase your LinkedIn Connections without having to admit you don’t carry business cards. Plus, you won’t have business card clutter in your briefcase or backpack afterward. If you want to know who’s also in town, run a filtered Twitter search to see who you follow is tweeting with #SXSW to easily identify and engage with people you want to meet. A highlight of SXSW every year is the brand experiences, which are dedicated spaces that are “bought out” or rented by recognizable companies. A stroll through downtown Austin on the day before SXSW 2019 revealed that SAP, LG, and SONY would be hosting significant activations this year to feature A/R and V/R technology, celebrity appearances, performances and panels. While the brand activations are typically the most in-demand experiences, most require either a full conference badge or an invitation to attend, which makes it hard to participate if you don’t know someone on the inside. However, finding parties to attend isn’t difficult at all. A quick Twitter search for “SXSW parties” reveals real-time updates including links where you can RSVP. Speaking of Twitter, this year, Twitter is opening up its “Twitter House” to a broader audience of attendee’s where in the past it’s been strictly on an invite-only basis to Twitter clients and partners. A rep for Twitter shared a link with a variety of events which will take place through March 11th at its Rainey St. location. You can also sign up for the VIP Brand Summit event which I am personally hosting at WeWork on Saturday, March 9th. 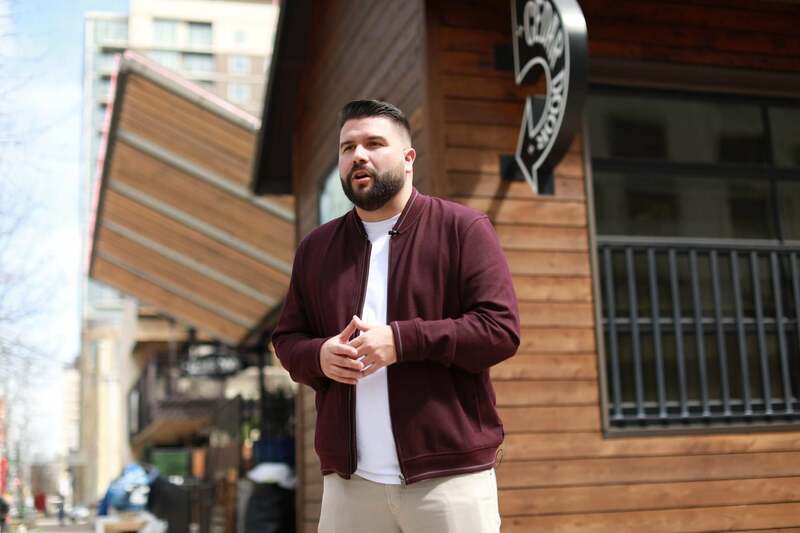 Although Austin is known for its world-famous BBQ and Tex-Mex tacos, SXSW attendees are typically able to get a free bite and adult beverages simply by rolling into a brand experience or finding someone to tag along with as a plus-one to a VIP party. However, if you have time to sit down for a meal, be sure to head over to Lambert’s BBQ, which is also playing host to the Brand Innovators annual event which is also free for professionals and marketers alike. If it’s your first time coming to SXSW, be prepared to walk a lot and expect longer-than-usual wait times for ridesharing services like Uber and Lyft. This year it seems as though Bird and Lime electric scooters are the way to go if you’re looking to hop around from destination to destination quickly. Fortunately, downtown Austin is easily walkable, and everything is within a stone's throw of the convention center. SXSW can be overwhelming because there’s a lot to do and take in from a content standpoint. There are also a lot of people to meet if you’re on a mission to grow your business pipeline and make fruitful connections, which is why it’s critical to know how to pull away from the hustle and bustle of the festival and retreat to somewhere that’s quiet and more intimate if you’re setting up a meeting. Two venues which come to mind are the JW Marriott on 2nd Street, the lobby has plenty of seating and is a centralized meeting point. Also, WeWork at 600 Congress offers private offices and space, which are ideal for on-the-fly presentations and pitches. Those pitches are likely to come your way, provided that you’re finding yourself in right places and meeting the right people. The keyword at SXSW is “serendipity” — you never know who you will meet, or how they might suddenly change the trajectory of your business or career.